Do you have trouble sleeping? Suffer from back or neck or hip pain? Restless leg syndrome? Acid Reflux at night? Your mattress may be messing with you in ways you never realized. It is important to have a bed that can adjust to your whole body and readjust as you change sleep positions during the night. 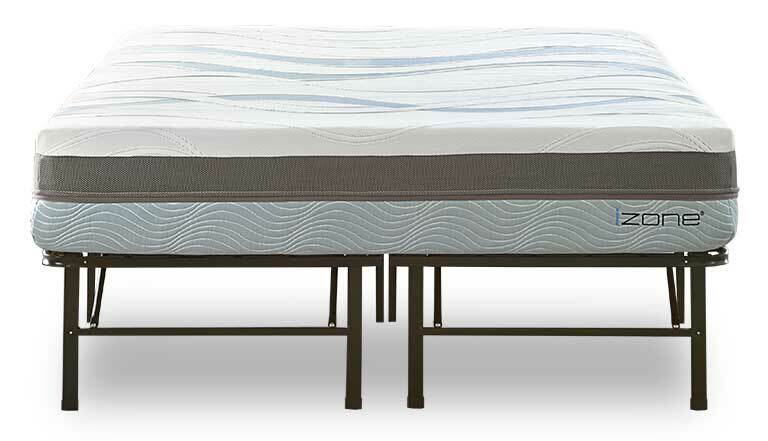 It is critical to have a mattress that gives you proper support in each of the key areas of your body. A side sleeper will typically want their shoulder area to be plusher, a back sleeper will want their lumbar region firmer. 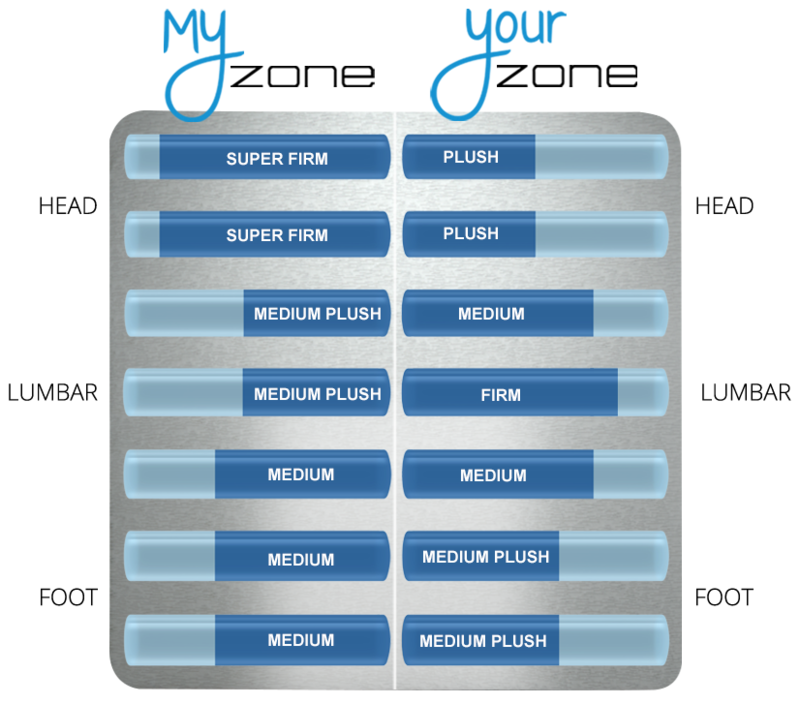 Every BODY is different so the only way to get the best mattress is to have a mattress that can be customized to your body from head to toe. 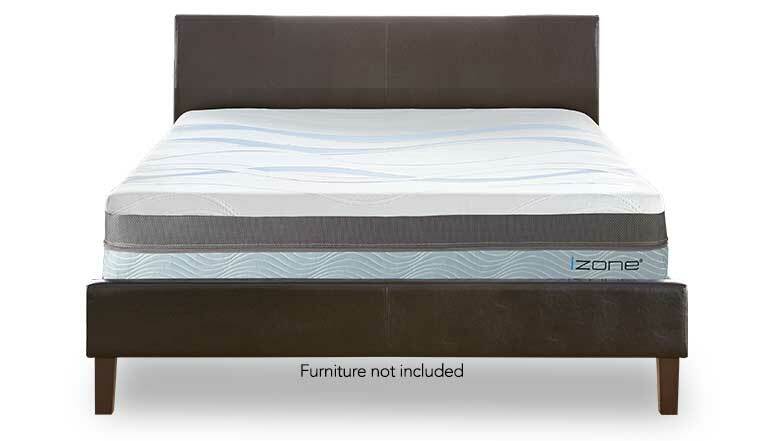 An izone bed can independently self adjust to your body weight, type and sleep position. You only need to set your izone bed once for the perfect comfort and support, which is exactly what you need to ensure a better night's sleep. 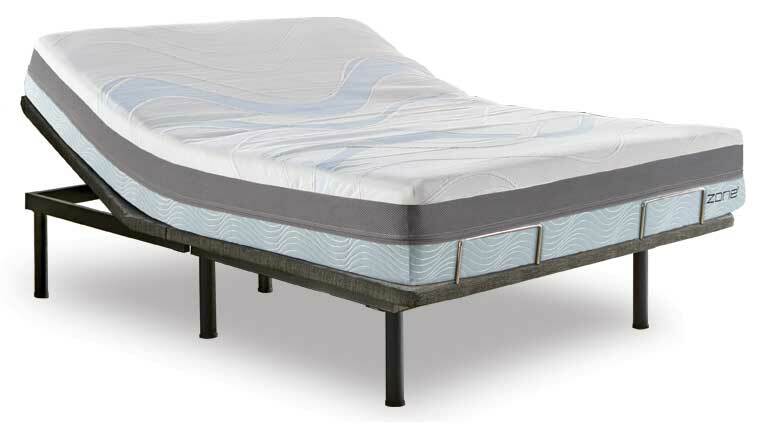 If you toss and turn all night it may be a sign that your mattress is no longer giving you the support your body needs. If you are sleeping on a firm bed, it is most likely because you desire extra support in one or more areas of your body, such as your hips. However, a firm mattress can also be unyielding and cause uncomfortable pressure points in those areas where you want more contouring, such as your shoulders . On the contrary, if you sleep on a plusher mattress you can loose critical support. The heavier parts of your body may sink, creating an uncomfortable and unhealthy "jack knife" effect. Izone uses water, a natural element that is more contouring than air, to create the adjustment between soft and firm. Water will give you the adjustable support you need, but stays contouring and comfortable. We had been looking at adjustable beds and found that the bigger names were expensive...Buying a good bed isn't cheap, but this proves that you can get the exact same features without spending as much. It's awesome to be able to adjust the firmness on so many parts of your body and is actually simple. I wake up without the usual neck, back, and leg pains!!! After sleeping on the bed for a couple weeks, I made two minor adjustments to the zone at my shoulder and at my knees. I have never slept better. I am extremely active and have many nagging injuries from sports and an active lifestyle. Not anymore. Being able to adjust the zone and the bed to my body and my preference, has made positive changes in my every day life. I wake up easier. I fall asleep faster. We love this bed so much we named it “Beddy”. It is exciting to wake up rested, happy and pain free.